Ada has recently moved to a new neighborhood and is missing her best friend. She would rather be outside exploring and researching, but she is stuck inside because of the cast on her leg. Ada befriends a girl in the neighborhood and together they investigate a missing dog case. 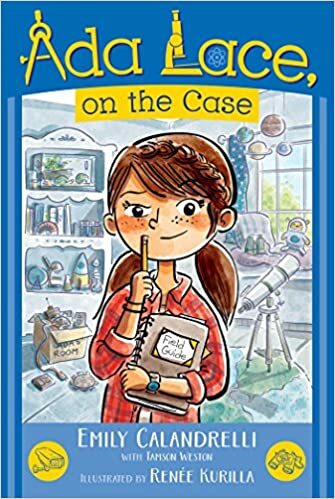 This book has a mystery, friendship, and a character who loves science and technology. This is a shorter text with quite a few illustrations so it will appeal to transitional readers and those who don't have the stamina yet for longer chapter books. 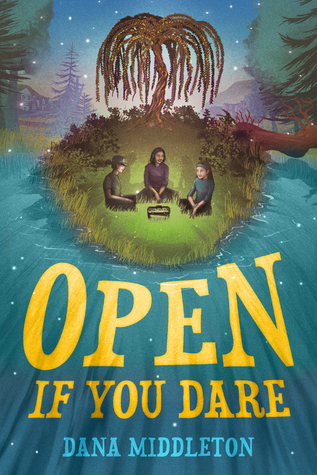 Birdie and her friends find a box buried in the ground with the words, "Open if you dare" written on it. The clues lead Birdie to a mystery about a girl who lived in the neighborhood decades before. As Birdie becomes wrapped up in the mystery she is also facing challenges of being middle-school aged, such as a friend who is moving away, an annoying younger sister, and friends who are beginning to like boys. This is a story that many middle grade readers will be able to relate to, but the mystery also makes it an intriguing read. This is one of two books I read this week about lost objects. Gertie Milk wakes up on a mysterious island with no memory of who she is or where she is from. When she meets a strange little man, named Kolt, he explains that she is on the island of Skuldark and she has been chosen to be a Keeper of Lost Things, as he is. Together they travel in time to return lost objects while they try to escape the clutches of the Losers who want to destroy all knowledge. Gertie and Kolt's time travel is adventurous, but also leads them to encounters with historical figures and gives some clues to Gertie's life. The quirky characters and imaginative setting make this an enchanting story. Marty's favorite possession, a jacket given to him by his father, has gone missing. Marty has also learned that his father, who has cancer, has limited time left. To get his lost jacket back, Marty goes on a journey to find the Train of Lost Things, a train that collects lost treasures that children have lost, which his father has told him stories about. When Marty finds the train he meets two other children also searching for lost objects. Through his journey, Marty learns about love and memories. This is a heart-breaking and sweet story of hope and resilience. The book publishes in January of 2018. 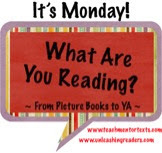 Those look like fun middle grade reads! I’ll have to check them out. Have a wonderful week! Each one sounds terrific, Lisa. I can't read them all, but love when I learn of a new middle grade book for my granddaughter. How fun that you found two books about 'lost things'. It might be a good writing prompt! Thanks! All of these look really interesting. I love a good middle grade novel. Ada Lace looks like a great role model for younger kids. I'm looking forward to The Train of Lost Things! I really enjoyed Ada Lace, but I haven't found a reader for it yet. Hoping that will change soon! Lost Things is an amazing story! I will definitely be looking for Ada Lace. It sounds like a fun mystery and sci & tech is a plus. Looking forward to Open If You Dare! Love a good mystery! All of these are unfamiliar titles to me. Thanks so much for sharing! The train of lost things definitely caught my eye.